The brewery that would become Fierce & Noble was set up just two short years ago, initially to supply beer to the owners’ group of licensed cafes, but it quickly became clear that it had the potential to become a successful craft brand in its own right. From two initial styles – dubbed Fierce & Noble, funnily enough – the brewery has gone on to broaden its repertoire and its reach, supplying eight core beers in can, cask and keg to bars and shops across the region. “The decision to really run with Fierce & Noble as a separate entity to the cafes was a turning point,” explains brewery sales manager Ed Townsend. “We launched our taproom, which is open Friday, Saturday and Sunday, started actively promoting our website and generally getting out and putting the beer in front of people. 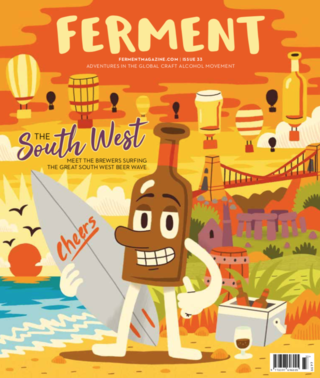 With around 15 craft breweries in and around Bristol, including some very well-known names, starting out in the city is a little like starting out in London. Within the local area of Fierce & Noble, you have Wiper and True, Arbour, New Bristol and Good Chemistry. Ed says there’s still very much a community feel to the scene though, and the good natured rivalry with the brewery’s neighbours is welcomed. Ed says production just now is focused on meeting the order of 35,000 cans for Beer52 members, but that there are plenty of experiments and collaborations on the horizon. 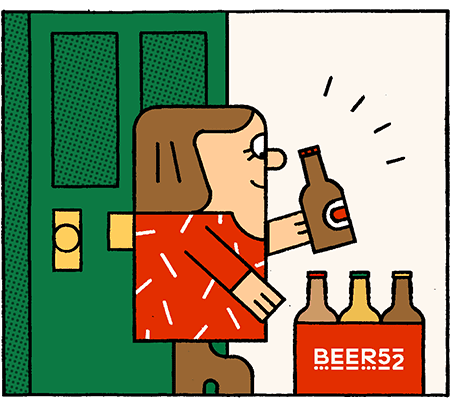 Working with Beer52 is part of a wider plan to get Fierce & Noble’s beers to a wider audience outside the south west, which has already seen the brewery making inroads to London. Ed acknowledges though that ambitions for growth mustn’t overtake the things that have made its beer such a success.